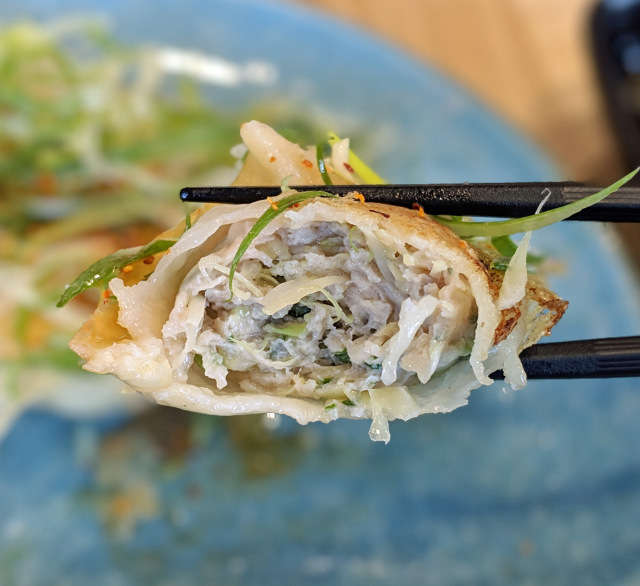 Since opening in San Francisco in 2017, Dumpling Time has amassed a loyal fanbase of hungry diners who can’t get enough of their handmade dumplings. 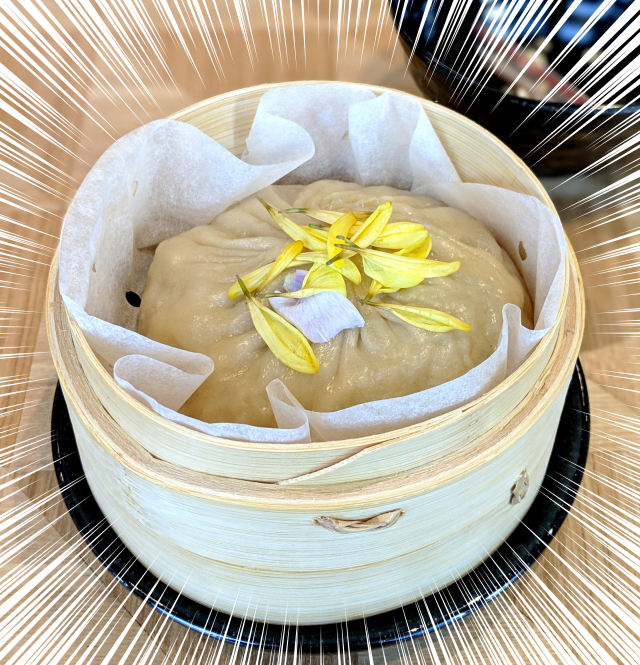 Now, just two years after opening their first restaurant, Dumpling Time is extending their reach across the Pacific, with the opening of their first restaurant in Japan’s capital, Tokyo. Our food-loving reporter Mr Sato headed down to the new branch soon after they opened in Shibuya’s Hikarie building on Jan 22, and when he arrived at the restaurant, he found it on the sixth floor, which has recently been remodelled and fitted out with eight new eateries. 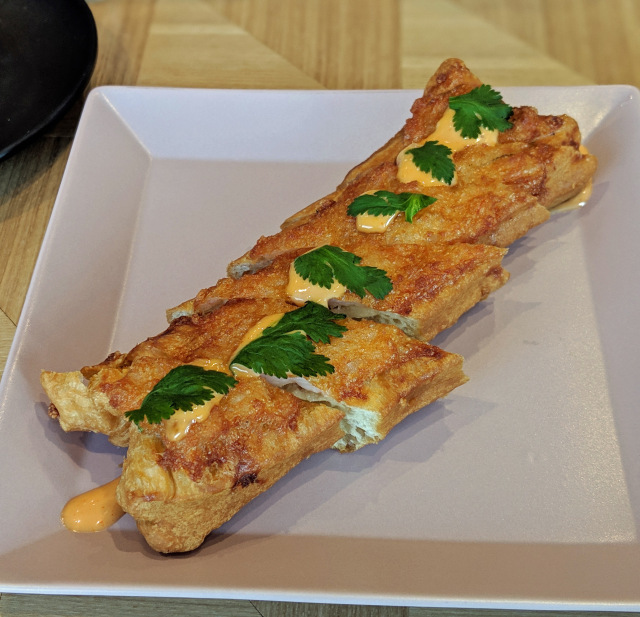 Turning his attention to the menu, Mr Sato saw that it was filled with lots of familiar favorites, but some unusual offerings caught his eye. He decided to order Prawn Toast (550 yen), Pork Gyoza (four for 580 yen), and a curiously named King-Dum Xiaolongbao (850 yen). 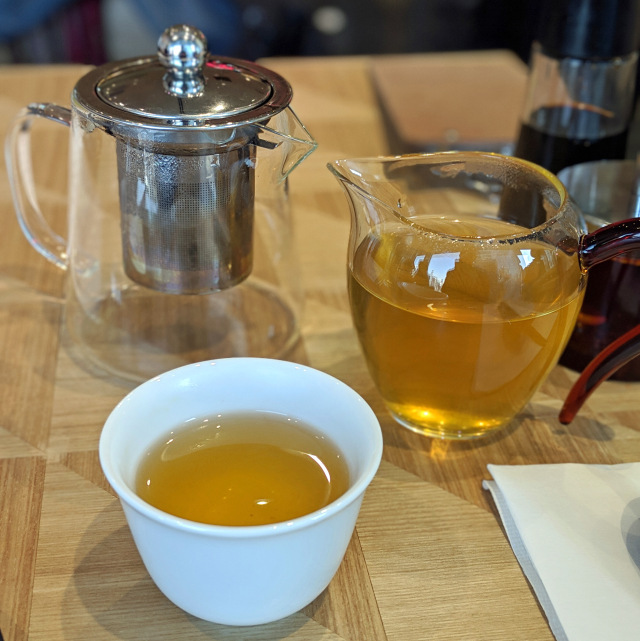 He also ordered some jasmine tea for 400 yen, which came in a pot with a separate pitcher for pouring. This keeps the tea leaves fresh for refills, which is a nice touch, seeing as you can get up to three free refills with each pot ordered. The first dish to arrive on Mr Sato’s table was the Prawn Toast. He had imagined it would be served on a slice of bread, so he was pleasantly surprised to find it came in the form of a sliced baguette. 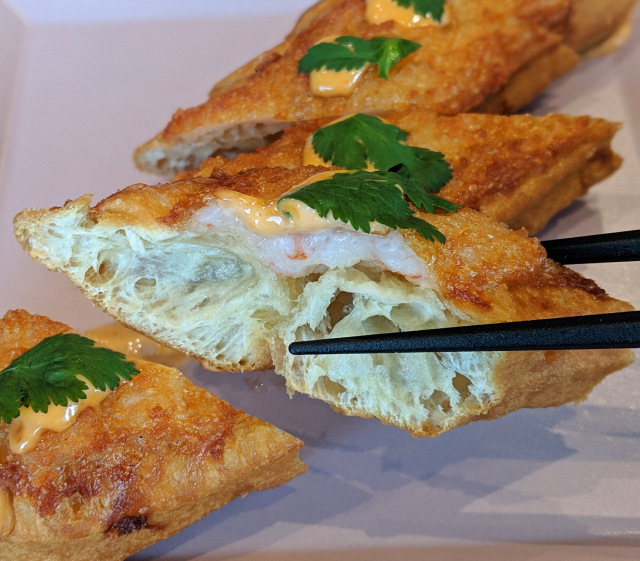 The prawns had been placed on top of the baguette before being glazed and then grilled, while the sauce seemed to be a decadent mix of prawn soup stock and mayonnaise, creating a mellow blend of prawn flavor. Next up was the Pork Gyoza. These types of potstickers are common in China and Japan, but these were served in a really elegant style. 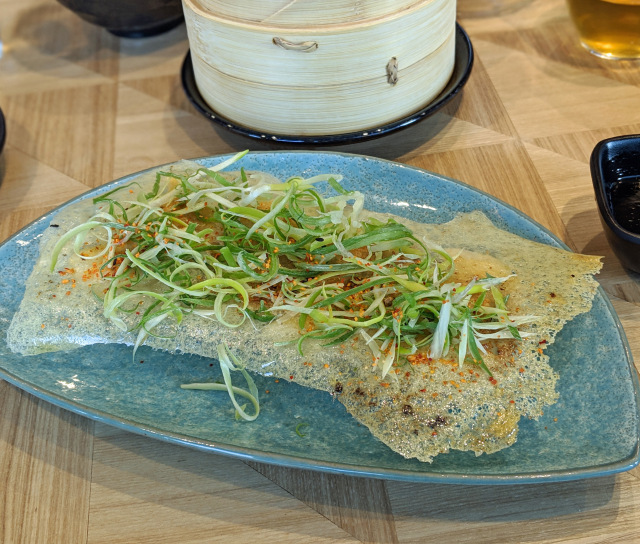 The crispness of the fried skin, along with the topping of pepper and finely sliced green spring onions, contrasted beautifully with the chewy filling. This ticked all the right boxes in terms of visual impact, flavor, and texture. Then the King-Dum arrived, and it was so big Mr Sato could hardly believe his eyes. He guessed it would’ve been about ten centimeters in diameter at the very least. 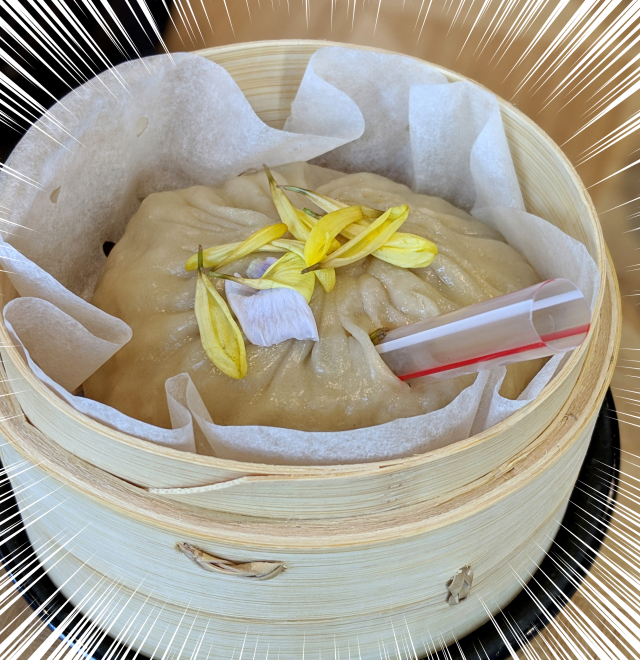 This looked more like a steamed bun than a xiaolongbao, and it came with a big straw stuck into the side of it. Mr Sato was a little puzzled at first, wondering if he was meant to slurp up all the juice inside like it was some new-age tapioca drink. He leaned in, wrapped his lips around the straw, and slurped. The flavor and the experience was so good that he slurped some more and then he slurped again. It was at the point that he realized he probably shouldn’t have guzzled so much of the inside juices as this would leave him with no broth to enjoy with the actual dish. 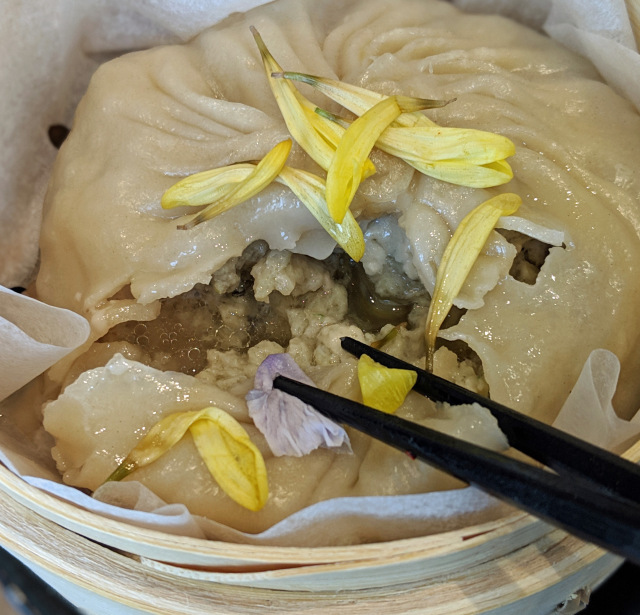 Thankfully, it was still juicy inside, and as soon as he took a mouthful, he knew he would be coming back just to enjoy this King-Dum Xiaolongbao again. It was warming, meaty, and delicious, and though he thought the skin might be too thick, it was actually light and perfect, which meant he was able to get through the dish without feeling too stuffed. King-Dum appears to be a play on words for "kingdom." Thanks, Mr. Sato. Tough work, but someone's gotta do it.